Can I Have a Free Eye Test and Free Glasses at Brady Opticians under the PRSI Treatment Benefit or Medical Card Scheme? The Treatment Benefit Scheme is run by the Department of Social Protection (DSP) and is available to insured workers, self employed and retired people who have the required number of PRSI contributions. You or your partner may qualify for a free eye examination every two years under this scheme. From 28th October 2017 the Optical services under the Treatment Benefit Scheme have been extended. “Payment is now available, every second calendar year, towards either one pair each of reading and distance spectacles OR one pair of bi/vari-focals, OR one pair of contact lenses. The customer’s fee for spectacles depends on the frames chosen: the basic frames are free, while the customer must pay the balance towards the more expensive frames. Repairs to glasses are also covered under the scheme” (Citizen Information, 2017). At the time of booking your appointment, we will ask you for your PPS number to check if you are eligible for a free eye examination and to arrange PRSI approval. To book your appointment contact Brady Opticians on 074 9721727. For further information on the PRSI Treatment Benefit Scheme, read more here. If you are a Medical Card holder, you may be entitled to a free eye test every two years and free glasses from a selected range. Alternatively, you can use your entitlement on any other offer or lenses in store, and simply pay the difference. 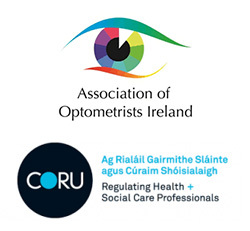 If you qualify for a free eye test under the Medical Card Scheme, we will first apply for authorisation from the HSE on your behalf. Once authorisation has been received, we will contact you to book your eye examination. If you have any further questions regarding the PRSI Treatment Benefit Scheme or the Medical Card Scheme, please contact Brady Opticians on 074 9721727.